Performing Gender - Dance makes differences is promoted by a network of six partner organisations, active in the field of dance, performing arts and in the promotion of LGBTI and women culture. They are located in five European countries. Il Cassero is the LGBT Center of Bologna, one of the most important institutions for the Italian LGBT movement and history. Gender Bender is the international arts festival produced by Il Cassero. 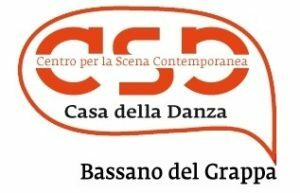 Centro per la Scena Contemporanea, a dance house, and Operaestate Festival Veneto, a multidisciplinary summer festival are part of the Comune of Bassano del Grappa (Vicenza). Yorkshire Dance champions the value of dance and its development in the North of England, supporting talent development, raising standards and fostering creativity and innovation. The Association for the Promotion of Women in Culture - City of Women is a non-profit organization for the realization and organization of cultural events and was founded in 1996 in Ljubljana, Slovenia. Paso a 2 is a creative catalyst that supports the work of emerging contemporary dance artists. Through prizes, programming, residencies, networking, workshops, showcases and mentoring, it is committed to investing in creative potential in Spain, Europe and abroad. Theaterfestival Boulevard is a summer festival held in and around 's-Hertogenbosch. Partner DansBrabant is a stimulant and catalyst for dance and choreography, working with a diverse palette of talented choreographers.